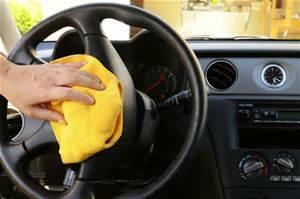 How To Keep your Car Clean Every Single Day in Peoria, Az. 1. DON'T EAT IN YOUR CAR. It may seem harmless but trust me, every time you eat in your car crumbs pile up more and more. 2. Don't let the rugrats make a mess in your car. 3. Clean messes up quick, before the stain sets in... or you forget about it. 4. Keep a trashbag inside your car in the middle console, or behind your headrest.